In 1994, Microgaming set forth to change the world. This was the year they released the industry’s first software to power online casinos. Ten years later, they followed it up by releasing mobile casino software for the first time. 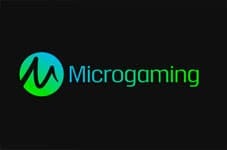 Microgaming provides casinos software for video poker, slots, sports betting, bingo and automated/live dealer table games. They are one of the top providers for both online and land-based casinos. Other big developers of casino games include NetEnt and Betsoft. The full list of game types produced by this company includes bingo, casino, land-based, live dealer, mulit-player, poker and sportsbook. Its Casino-in-Bingo side games provide players with a fun alternative to more traditional casino games. Microgaming Bingo even allows players to chat with each other during gaming sessions. Players can take advantage of special loyalty and bonus rewards only available in the Bingo hall. The hall consists of several game rooms. There are even linked games that are part of the company’s Bingo network. This allows them to pay out huge jackpots. Microgaming holds an online Bingo record for the biggest jackpot win. Aside from Bingo, players also love the live dealer games. Microgaming uses a top quality live dealer suite. Real time footage is recorded featuring live game dealers. These are then used in each of the games. The suite includes a complete virtual interface. It allows for game play at multiple tables simultaneously. It also allows for auto-bets to be placed. In addition, it provides a full analysis of each game’s statistics. Players can access Microgaming live dealer games on mobile devices and desktop computers. The multi-player feature is more interactive. This is what enables gaming tournaments at countless online casinos. Like in the Bingo halls, multi-player platforms make online gambling a more social experience. Not only can players chat among themselves, they can often see each other’s games. Players can also compete in a head to head to rise to the top of the leaderboard. Shared bonuses are often awarded in Microgaming’s multiplayer games. In March 2003, Microgaming launched its own poker network. The games are available in a wide variety of languages. Players within the poker network can take advantage of ongoing promotions. Casino in Poker side games are a large part of the network as well. These are suited to the more casual players who only want to participate in a quick Poker session. The other mini game within the network is Blazing Cannon. Like with the Bingo lobby, Microgaming poker lobbies enable Fish Party Sit & Go tournaments. This is a multi-player progressive jackpot event. Players also get excited about their chances of winning the Bad Beat Jackpot. One of the biggest hits the company has on its hands is Blaze Poker. This fast-paced version of the game is perfect for busy players. Blaze Poker tournaments are often held at online casinos. Some of the formats offered within the tournament are heads-up, freeroll and bounty, three types that are popular with players. In 2006, Microgaming launched its own sportsbook. They include opportunities to bet on horseracing, football and tennis. These are the top three most popular to bet on. However, this sportsbook takes it a step further. Players can also bet on politics, chess matches and even TV events. This sets the Microgaming Sportsbook above most others. 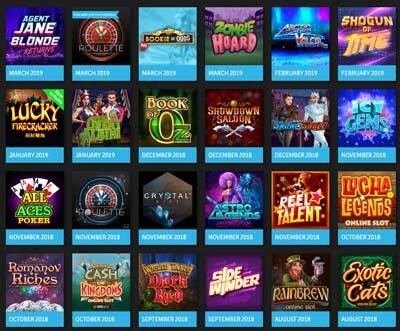 Some new releases from Microgaming (April 2019). In 2014 Microgaming launched Play It Forward. This is a community outreach project based on The Isle of Man. The goal of the project is to contribute to education and sports through charitable endeavours. The program sponsors upcoming stars in UK sports and provides money for college-bound individuals. The company’s bursary is financially supporting a select group of students while they complete their degree. Microgaming uses this project to financially back UK sports clubs and provide funding for related events. 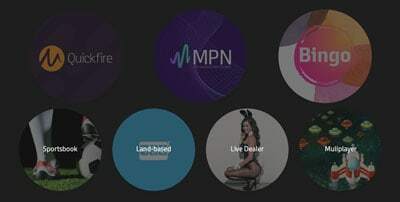 More than just a provider of online casino software, Microgaming is a powerhouse in the industry. They have set the standard for what a casino game should be. The fact that they power so many casinos shows the reach they have. All of their products were designed with the ultimate player satisfaction in mind. Few other software companies have achieved the level of success Microgaming has. Its dedication to making a difference makes it more than just a software provider out to make money on games.